“Under a mandate of the Holy Spirit, I now bring from invisible to visible a prophetic act pertaining to the future of all 568 Native Tribes of this hemisphere called America. 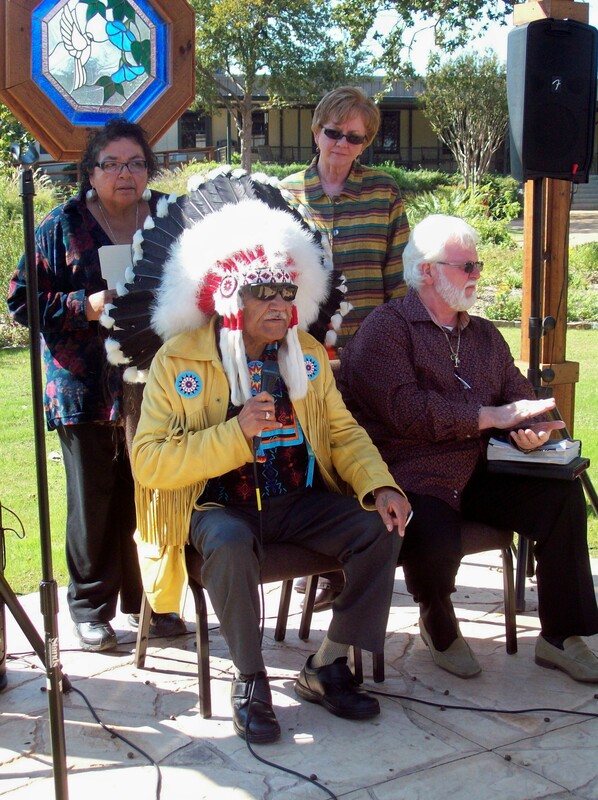 “In the guardianship of the Israel Prayer Garden and its many expressions of maintaining a watch in prayer and spiritual warfare for the Nation of Israel, and as First Nations of this country called America, we seek to add a more visual commitment to Israel by symbolically planting the wildflower called ‘Indian Blanket,’ an official wildflower representing the tribes of the Nation of America. 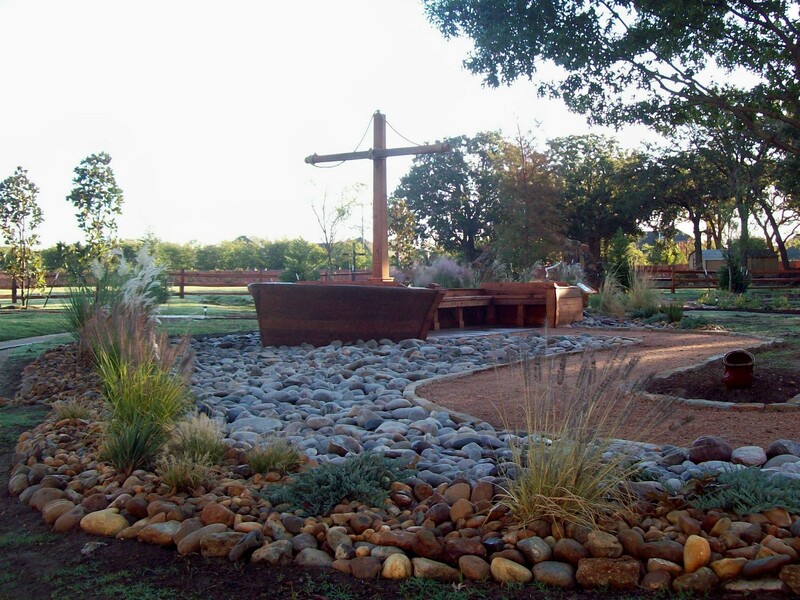 “As these seeds of commitment are prophetically sown in and around the plants representing the twelve tribes of Israel, our Native Tribes will be joined together in providing a ‘warrior watch,’ not only over the beloved Nation of Israel, but to provide the security over the many facets of prayer warriors that will come to pray and feel the blessed atmosphere coming from the Israel Prayer Garden. And so, we will plant Indian Blanket seeds in November and wait for their blossoms next spring! Thank you, Apostle Jay Swallow, for these seeds of commitment. Sometimes change happens suddenly, and whether it is a change in circumstances or a change in the seasons, our challenge is to adjust and find our footing. Monday morning in the garden, I witnessed an exciting sign of the changing season for the very first time. 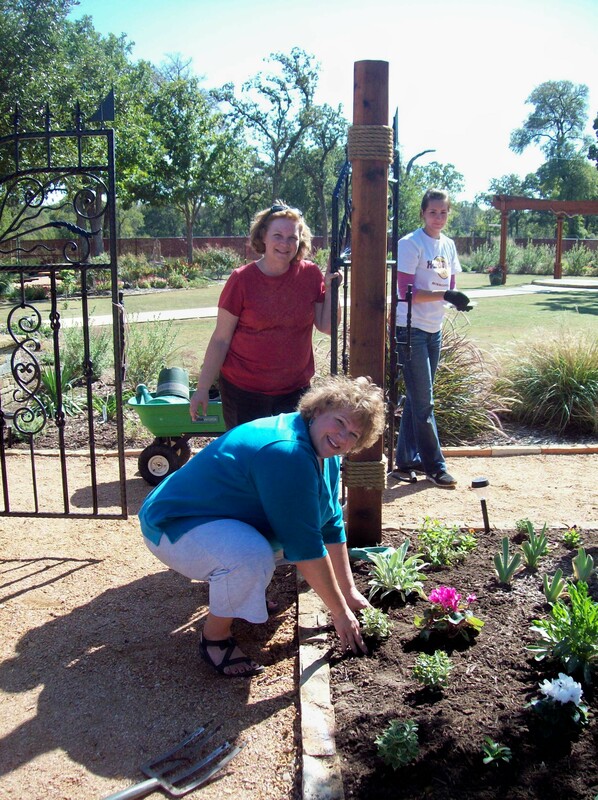 Donna, Sue, and I were on the east side of the garden planting ornamental grasses in the tribe of Naphtali. Suddenly, we looked up to see Daniel Arenas on the northern edge of Asher, frantically waving his arms and pointing to the eastern sky. Honestly, I didn’t know what to expect since planes make their approach to the Dallas-Fort Worth Airport right over the garden. When we turned to look up, we beheld an amazing sight: hundreds of migrating birds hovered in the air above the garden. I’ve been watching birds for years, but this was my first time to see snow geese on their annual migration across Texas. For several wonderful moments, we watched these magnificent birds break rank and soar above the garden like a black and white whirlwind. Just one more reason I am so thankful for the blessing of the garden. If we had not been outside digging in the dirt at that very moment, we would have missed that amazing sign of the changing seasons! 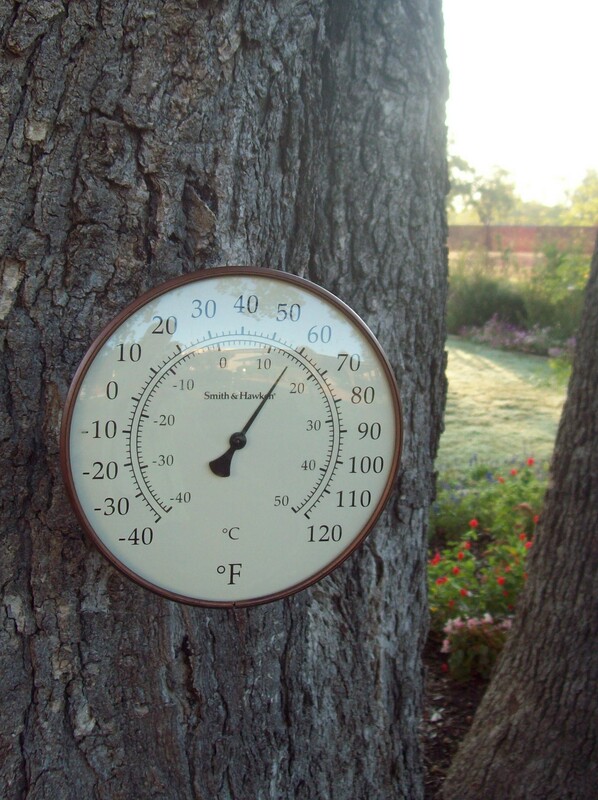 That same night, we enjoyed the first of several seasonably cold evenings in north Texas, dropping the nighttime temperature into the fifties and forties and bringing more rain to our parched state. After a high temperature on Monday of ninety degrees, we enjoyed a crisp, beautiful day with a high in the sixties on Tuesday. This time of year in Texas really does make the summers worth it all–at least, for me! Work continued this week on the walled spice garden in Gad. 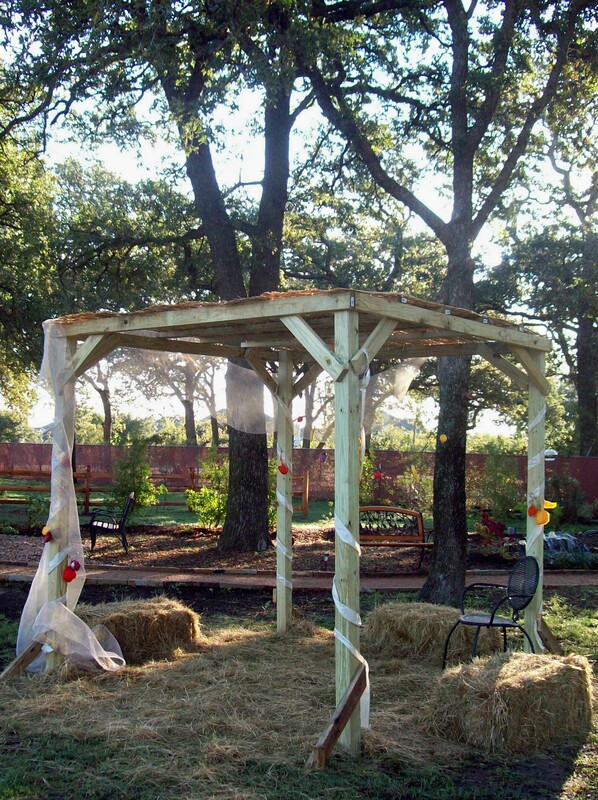 The sukkah in Manasseh hosted several visitors during the Feast of Tabernacles week. 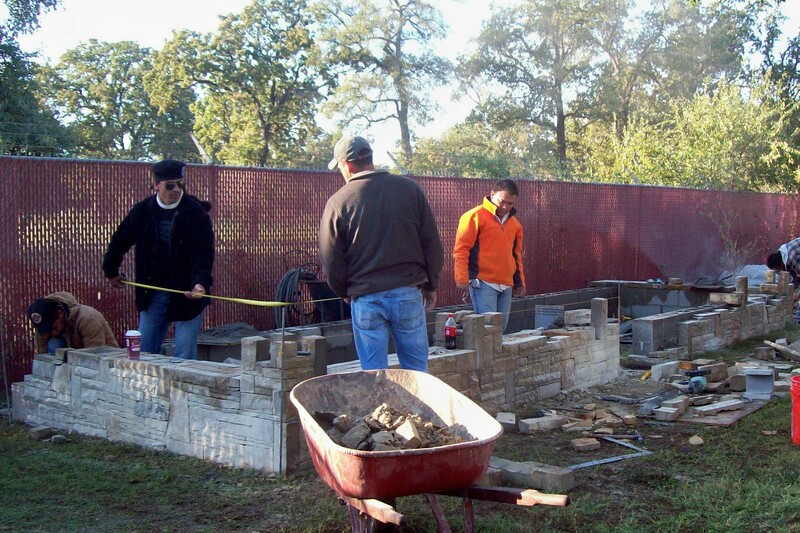 On Thursday, a group from Tulsa, Oklahoma, came to plant the Treasure Chest Garden at the entrance to Zebulun. 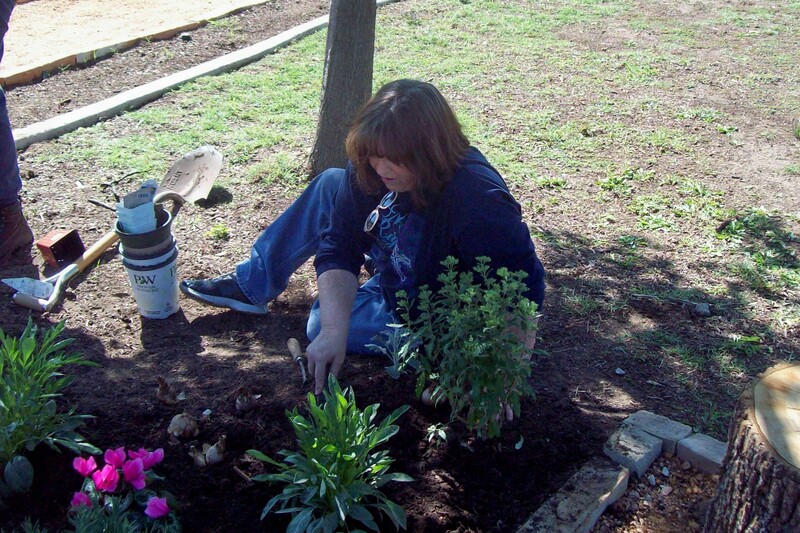 Over the next several weeks, we will continue planting, removing spent plant material, spreading bark mulch, and preparing the garden for the colder temperatures of fall. I will leave you with one last picture: Zebulun’s boat in a sea of river rock and grasses. She may not be sea-worthy, but she is sturdy! Whether or not we all share Zebulun’s entrepreneurial motivation, she is still an inspirational sight. When my children were small and came to me with a boo-boo, all they usually needed was a kiss and a band-aid. As they grew older and bolder, the kiss and band-aid often turned into a trip to the emergency room for stitches, bone setting, and burn treatments. In the same way, there are times in our lives when the injuries we receive from the world can be fixed with a kiss and a band-aid. A quick word of encouragement and a promise from the Word will take care of so many problems! But every once in awhile, we need a trip to the emergency room. Some wounds require special attention, and God is present and available to His children to bind us up, revive us, and raise us up to live in His sight. Whatever you are experiencing today, don’t neglect to pursue the knowledge of the Lord whose going forth is established as the morning. Seek His face today and receive the joy and refreshing that He longs to share with His children. To everything there is a season, and our record-breaking summer is finally winding down to its end. The days are shortening, the temperatures are back in the eighties, and rain is in the forecast. Yesterday morning, when I went to the garden with my camera, I could sense the change in the atmosphere. Even though fall “officially” arrived last month, it is just beginning to make its presence felt here in north central Texas. 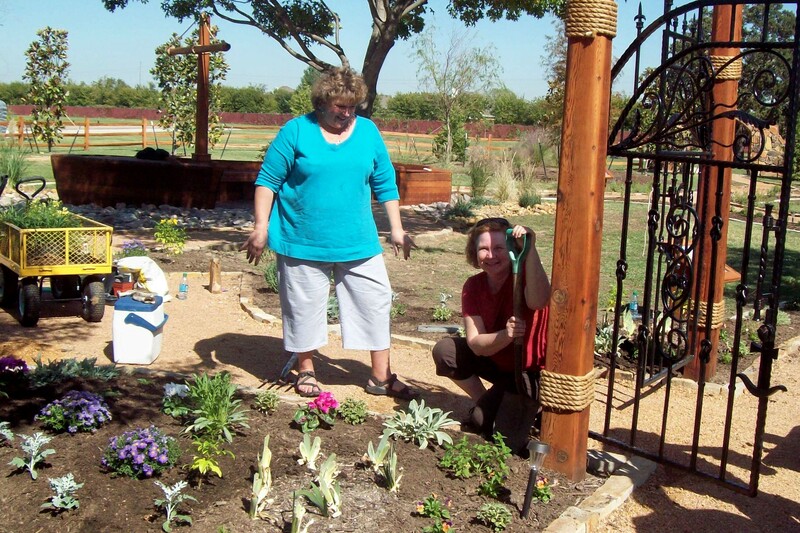 With cooler days and new hope for rain, we are ready to plant again. There is something special about gardening at this time of the year. Plants that have been in the ground all summer long start to get a bit unruly. Even so, it is difficult to prune them back even when they are invading another plant’s space. As I pull back a vigorous salvia and discover a smaller plumbago, I have to choose: do I lop off the salvia and punish it for being so prosperous? As much as I adore the lovely blue flowers of the plumbago, I usually side with the salvia. 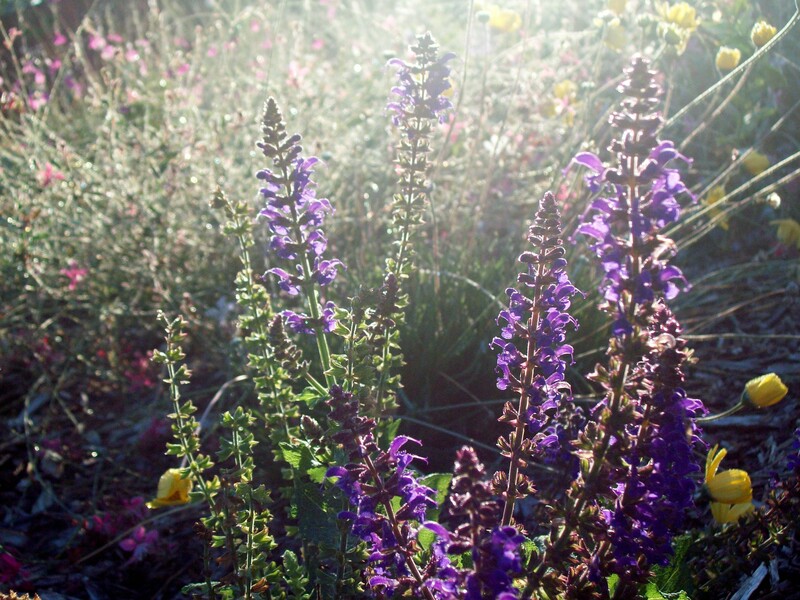 In the midst of heat and drought, the salvia rose above its garden companions and provided abundantly for migrating monarchs on their way to Mexico. Besides, the salvia will return next spring, while the plumbago is unlikely to survive the cold blast of winter. Just two weeks ago, the garden was full of monarchs resting and refueling for their journey. Yesterday morning, the distinctive orange, white and black beauties were still in the garden, but in much smaller numbers. The salvia is still blooming, but the butterflies were spending most of their time on the sweet blossoms of the glossy abelia. What a joy it has been to participate in this annual migration of the monarchs by providing a place for them to regroup! I hope you enjoy our walk in the garden today. And don’t forget to partake in the blessing of Shabbat!